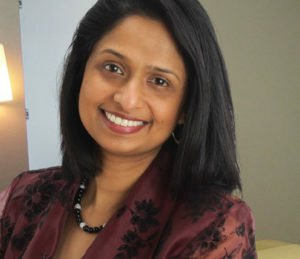 Dr. Yamuna Mathew received her DDS degree from the University of Missouri, Kansas City, in 2002. She had also received her BDS (Bachelor of Dental Surgery) degree from India in 1995. She has devoted 9 years of her life to dental education. Dr. Mathew takes time to give each patient individualized care from beginning to end. Her membership in the American Dental Association, the Missouri Dental Association, and the Greater St. Louis Dental Society gives her the continued education necessary to provide you with the most up-to-date dental practices and techniques. Dr. Mathew has been recognized as one of the “Top Dentists” in St. Louis as reported by St. Louis Magazine in several consecutive editions since 2009. The list was based on thousands of detailed evaluation of dentist by their peers. Dr. Mathew volunteers for the “Give Kids A Smile” program, a not-for-profit corporation providing free dental care for economically disadvantaged and under-served children. She is also a member of the Delta Dental Health Theatre. This facility creates a learning environment that inspires children and adults to take care of their smiles and their overall health. Dr. Mathew enjoys educating children about dental health at the local schools.